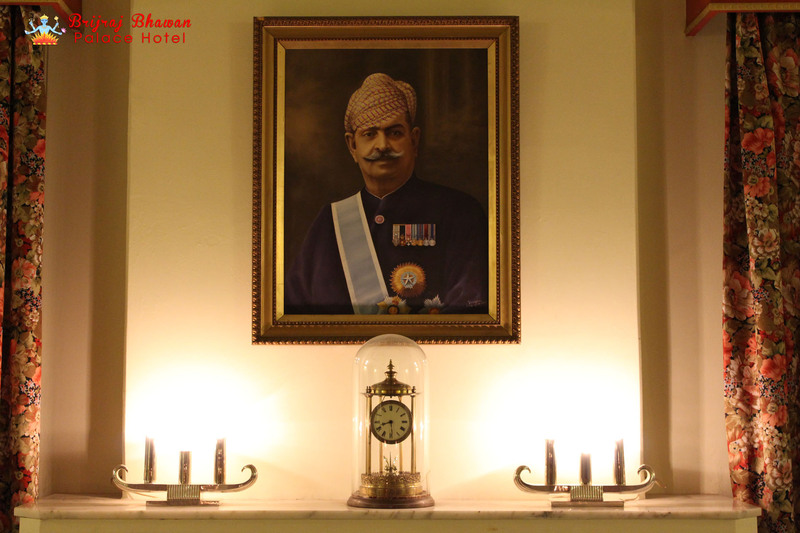 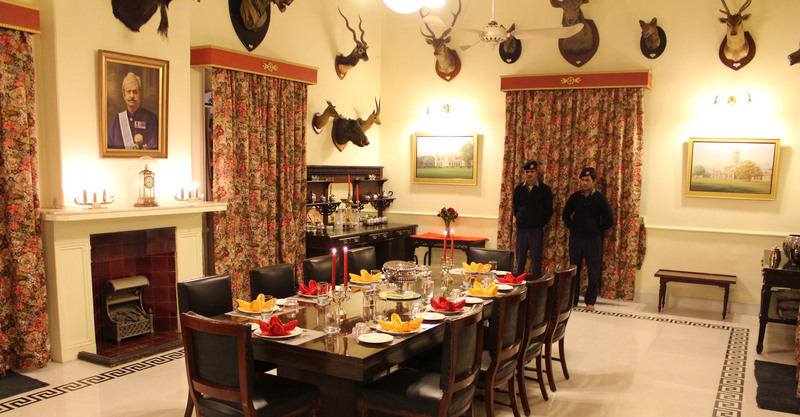 Large oil paintings depicting historical events, elegant period furniture, an array of wildlife trophies from the past, and other decorative and commemorative memorabilia of the royal family adorn the Palace and evoke visions of past grandeur. 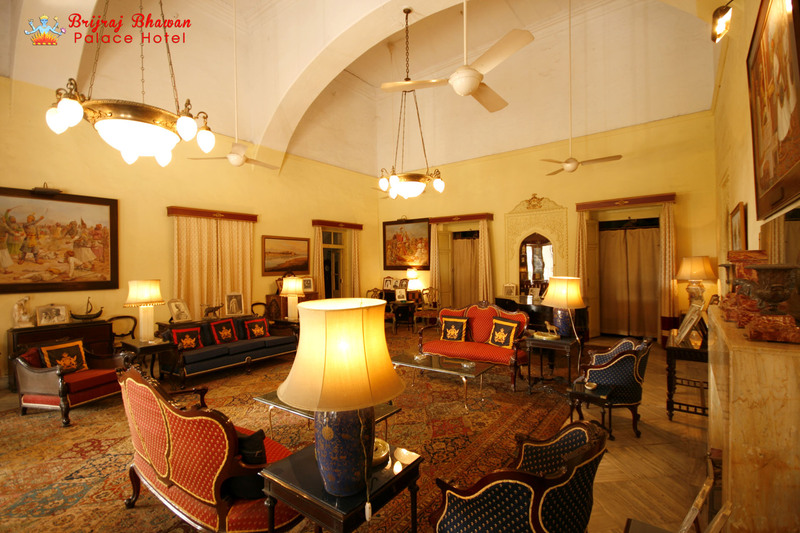 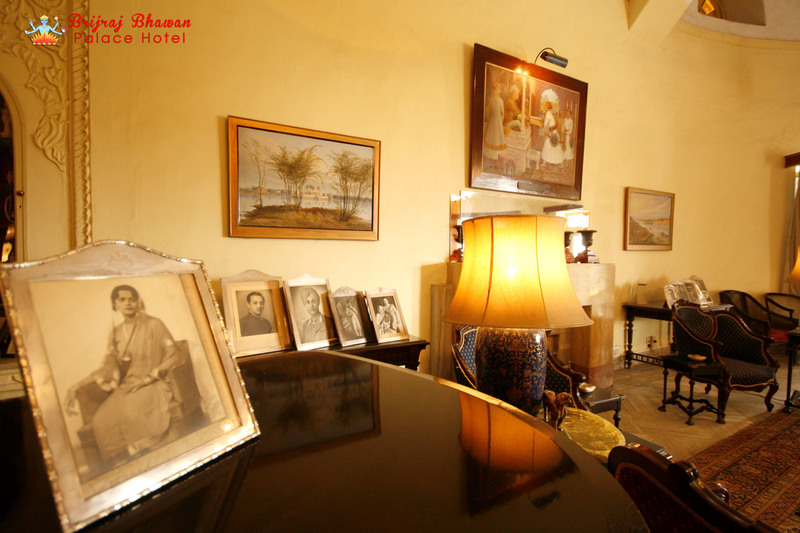 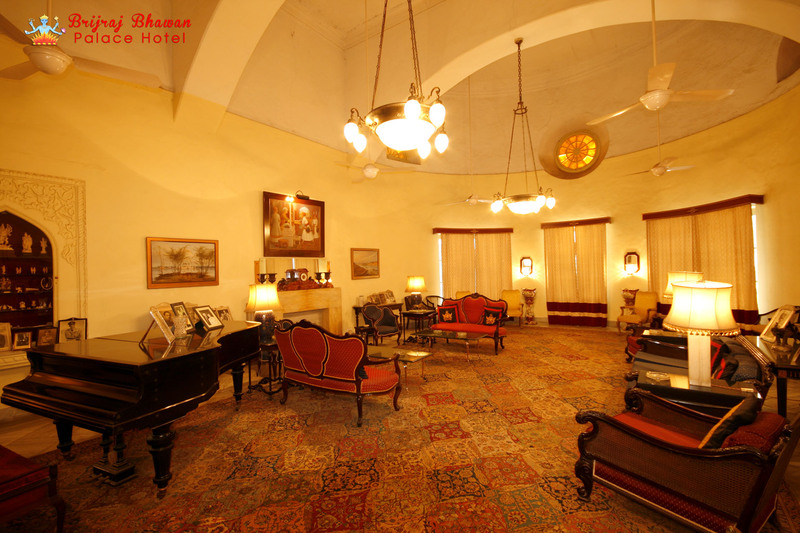 The beautiful drawing room, where the guest can relax, typifies this. 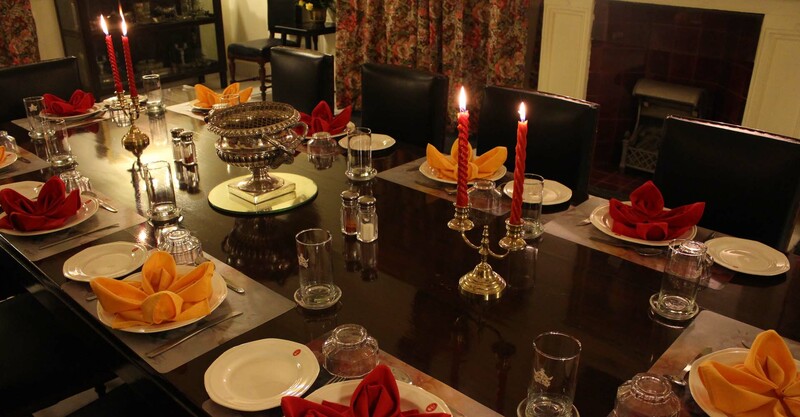 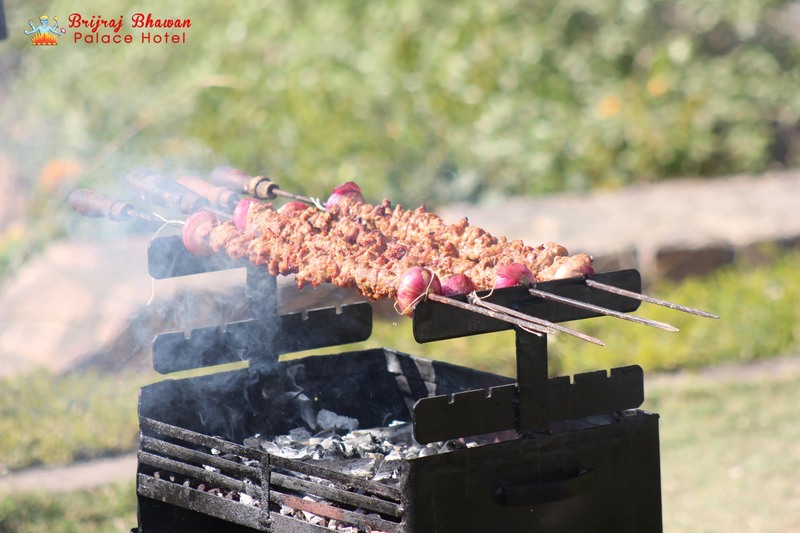 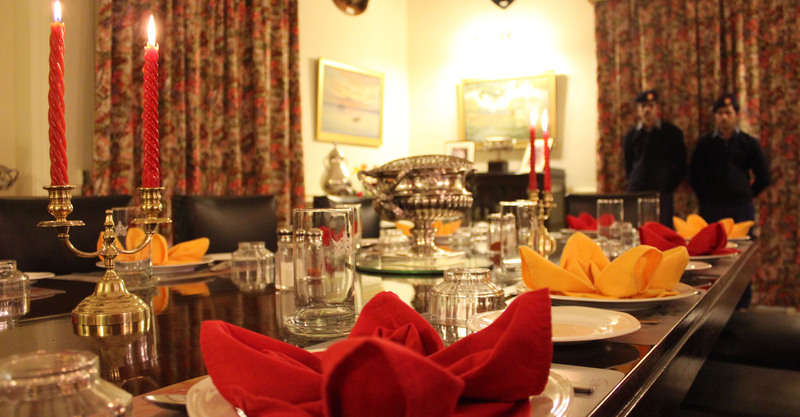 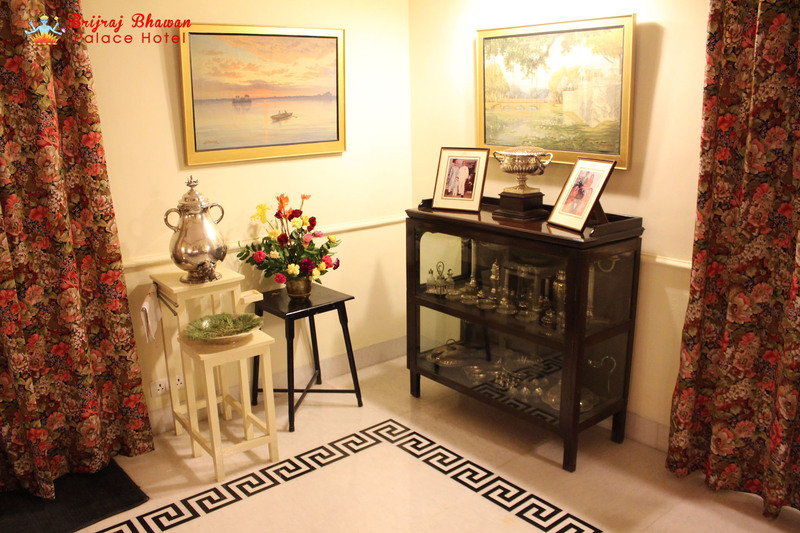 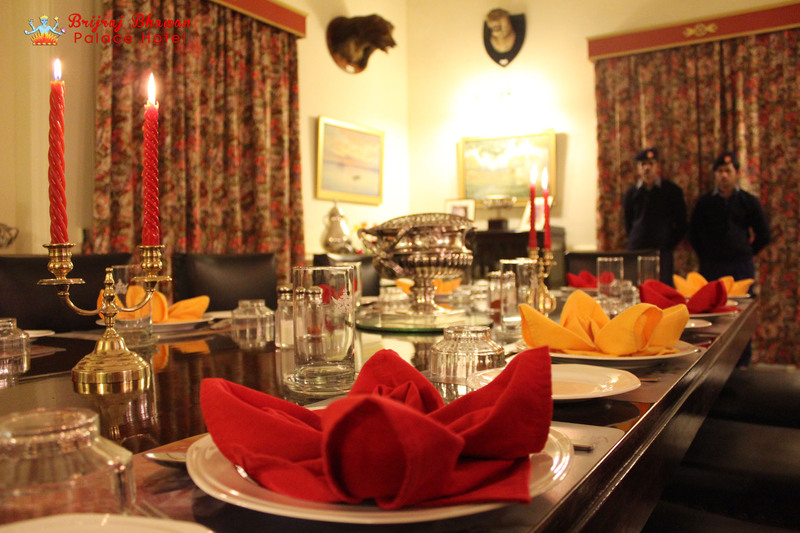 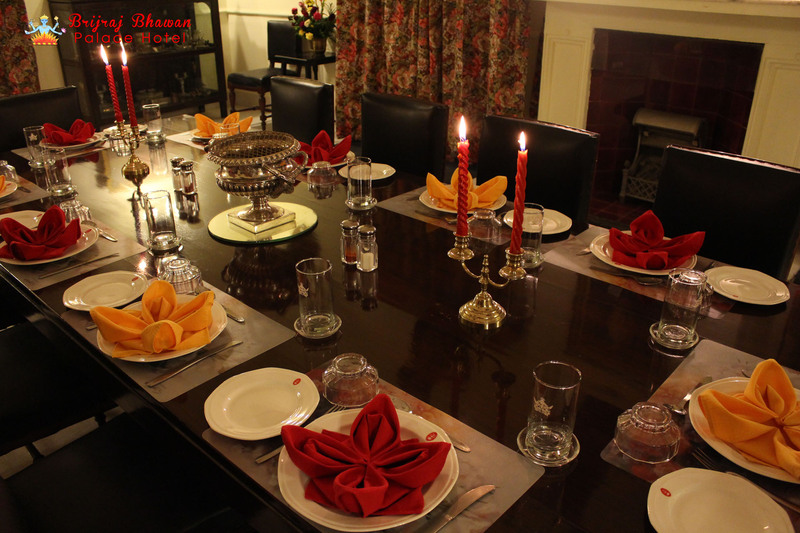 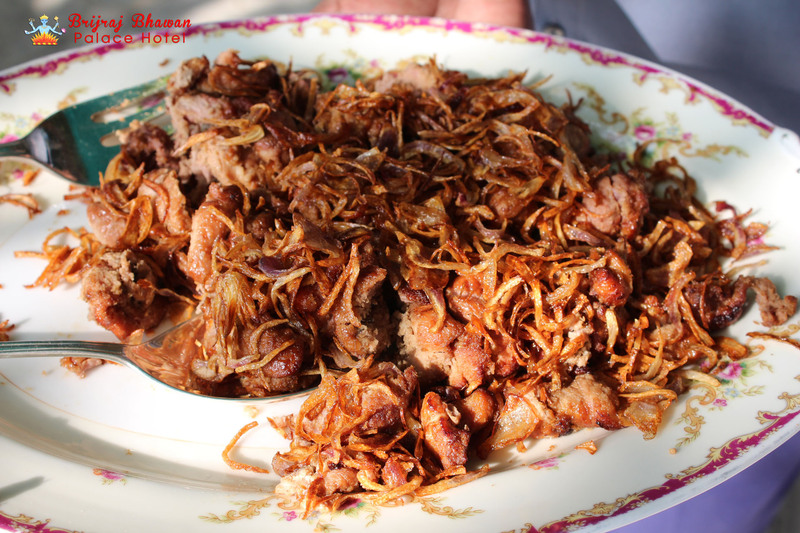 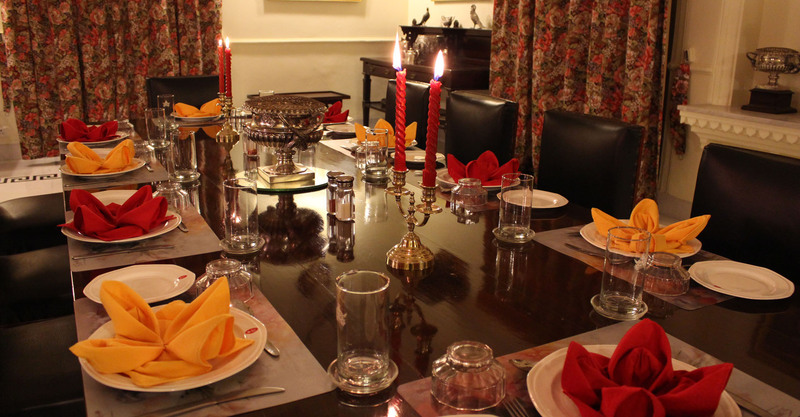 The food from the royal kitchen is sure to please the gourmet-guest as a wide choice of wholesome and delectable traditional Indian, Continental, and Chinese food is available to suit the most discerning of palates. 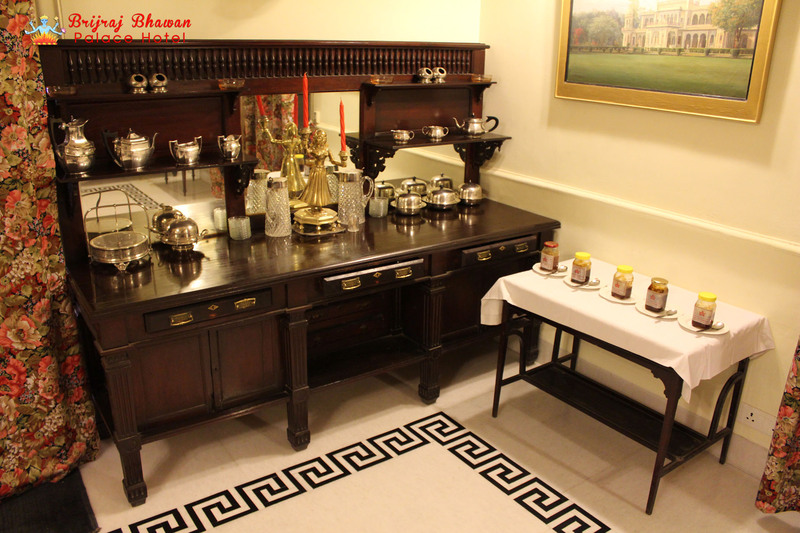 Several of the herbs and vegetables come from the kitchen garden while fresh milk is sourced from the Brijraj Bhawan dairy. 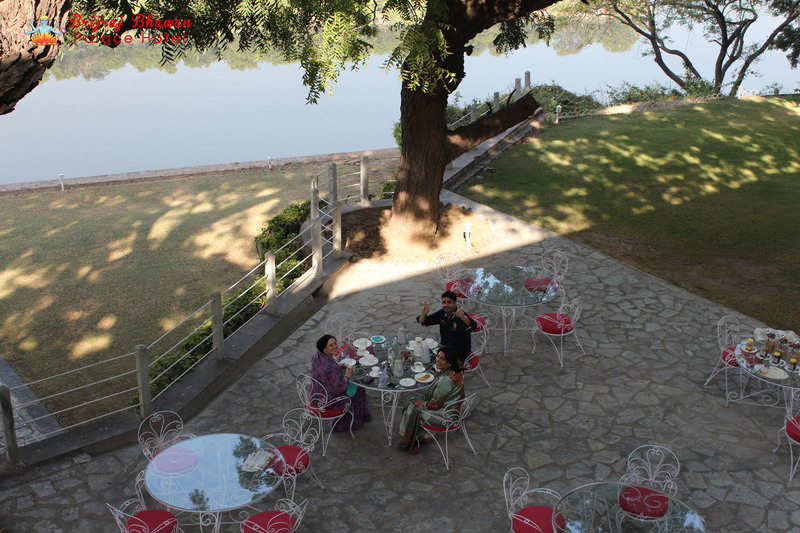 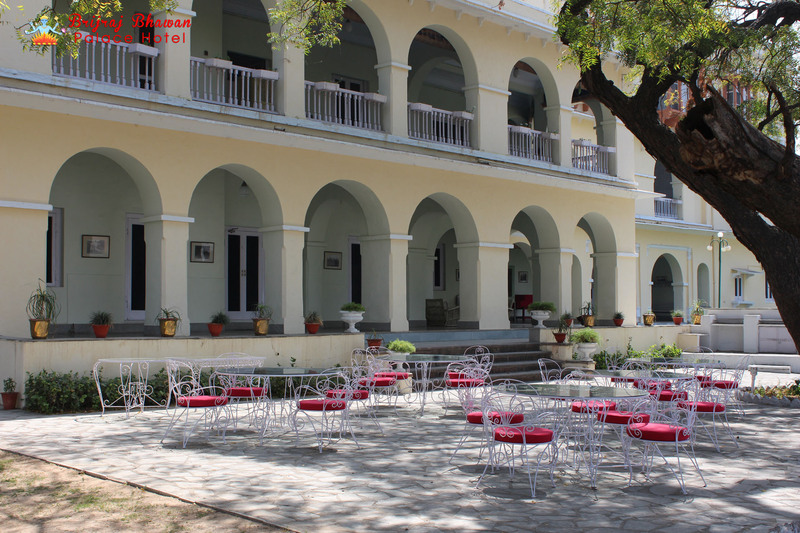 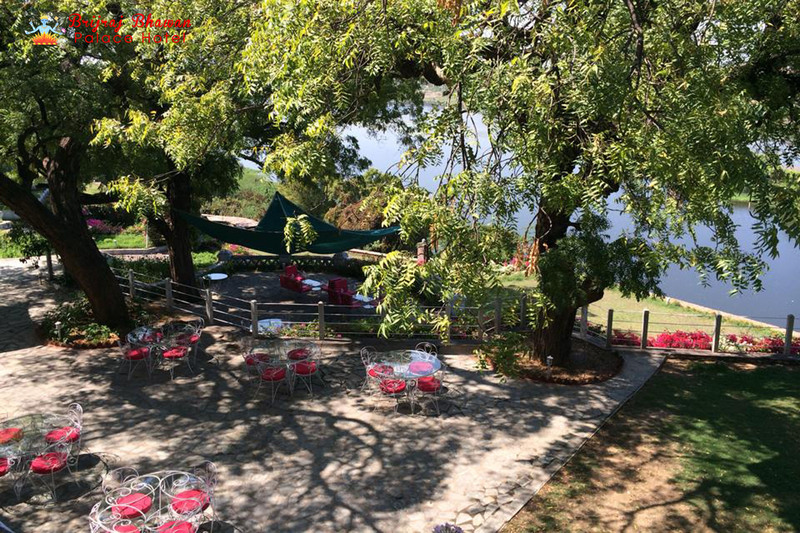 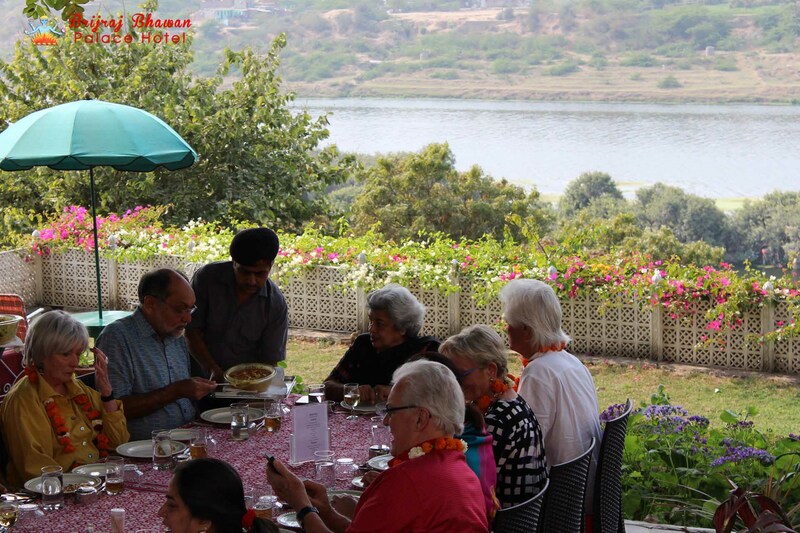 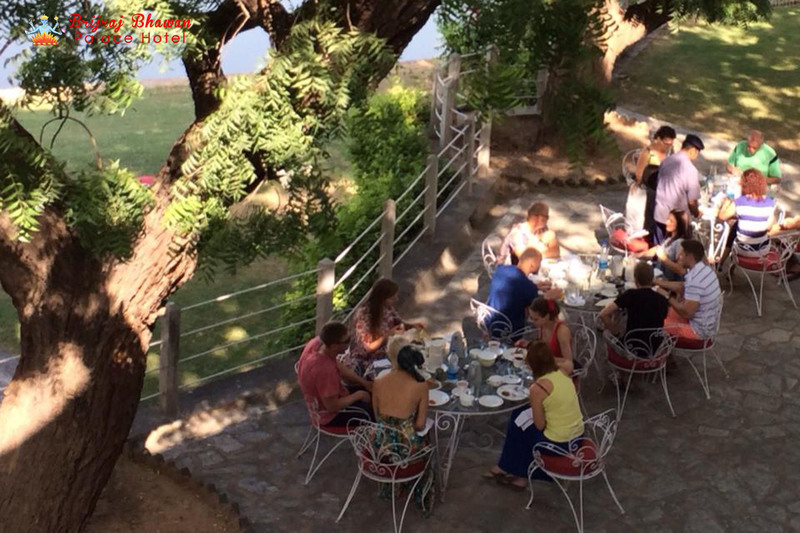 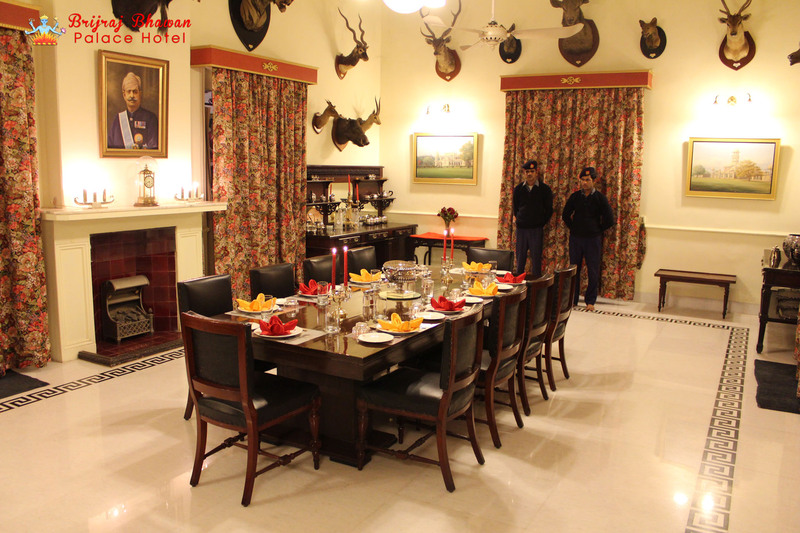 Food can be had in the beautiful dining room, or outside (on the breakfast terrace or in the terrace gardens) with a view of the river Chambal.